Smoked paprika adds a taste of Mexico to this quick and easy lamb recipe. Put a large frying pan over a medium-high heat and add the olive oil, red onion and cumin. Gently fry for 5 minutes, stirring occasionally, then add the chunks of lamb leg, paprika, the lime juice and garlic. Cook, stirring, for 5 minutes or so until the lamb is cooked but still a bit pink inside. Set aside to rest while you make the guacamole. Mash the avocados with the red onion, lime juice and coriander. 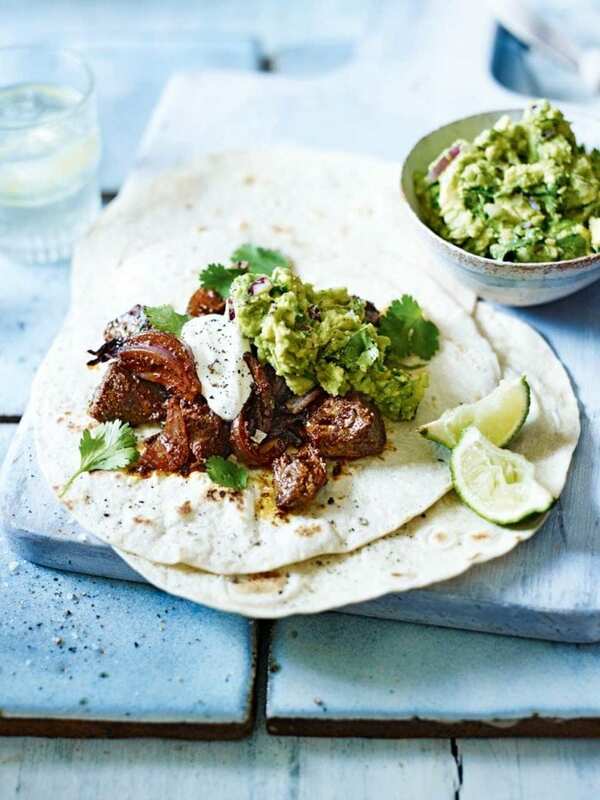 Taste and season, then serve with the lamb, warm tortillas and dollops of soured cream.